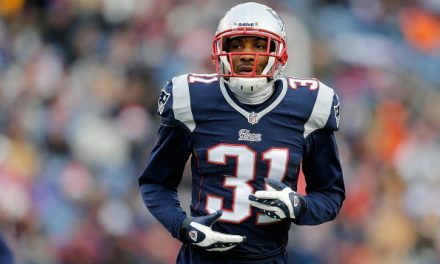 From Patriot Hall of Famer Kevin Faulk, to Danny Woodhead, to Shane Vereen, to James White, the Bill Belichick era New England Patriots have always had that one receiving threat running back as a role in their offense. They might not be on the field for every snap, but they still have that big play ability and frequently cause match-up problems for opposing defenses. 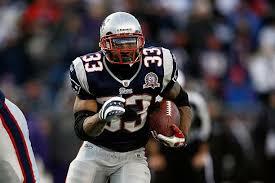 Kevin Faulk was drafted in 1999 out of Louisiana State University, but It started in the 2001 season. Faulk was what you could consider a safety net for the Belichick’s offense in the early years. 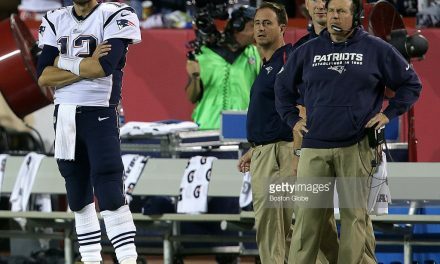 There were several games in the early, and middle years of the Patriots dynasty, where Faulk was the focal point of the offensive game plan. 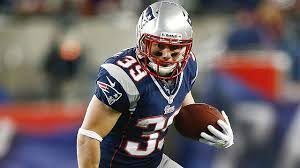 After Faulk called it a career at the conclusion of the 2011 season with a career total of 3,701 receiving yards and three Super Bowl rings, it was Danny Woodhead who took on his role. Woodhead was only a Patriot for 45 games over three seasons. He still thrived at filling the role of the receiving back in the Patriots offense. Woodhead was acquired in a trade with the New York Jets early in the 2010 season. He played his college football at Chadron State, where he broke the NCAA DII all-time rushing yards record. He recorded 92 catches and 982 yards through the air in his short stint with New England. After Woodhead signed with the Chargers in 2013, it was second round pick Shane Vereen who absorbed the role of receiving back. Vereen was a second round pick out California. He was a Patriot for four seasons but only played 42 games while battling injuries throughout his time in New England. 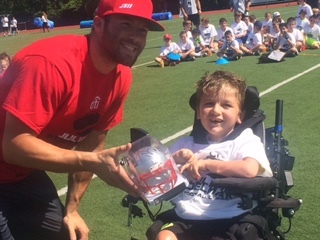 He was still able to record 107 receptions and just over 1,000 receiving yards in his Patriots career. Oh, and he earned a Super Bowl ring by recording 11 catches for 64 yards in Super Bowl 49 against a vicious Seattle defense. 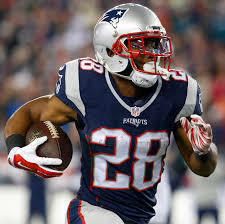 After Vereen’s exit by signing with the Giants, it was fourth round pick James White who stepped up to plate. White was a fourth round pick out of Wisconsin in 2014. He broke the university’s record for most receiving yards by a running a back. James spent the majority of his first season on the practice squad, where he learned the offense and improved his skills. Number 28 emerged as the next receiving threat running back midway through the 2015 season. He scored four receiving touchdowns. To this day White still holds the role as the receiving back in the Patriots offense. He has earned the nickname “sweet feet” for his ability to maneuver extra yards after the catch. White has recorded over 160 receptions for over 1,400 yards and 12 touchdowns in 47 games. 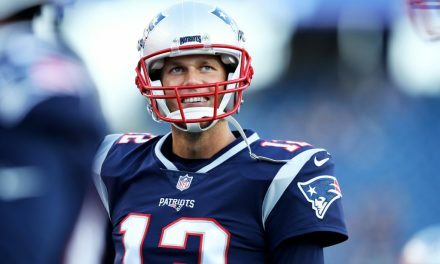 Of course White is most known for his legendary performance in the Patriots Super Bowl 51 comeback. He caught a super bowl record 14 passes and had over 110 yards from scrimmage. Who is Ralph Webb? Webb is a free agent who was signed directly after the 2018 NFL Draft out of Vanderbilt, where he broke the school record for most touchdowns by a running back. He showed tremendous potential in the preseason by scoring three touchdowns and a two-point conversion against the Redskins. Webb added another touchdown against the Giants in the final preseason game. Although he did not make the final 53 man roster, he did earn himself a spot on the Patriots’ practice squad. 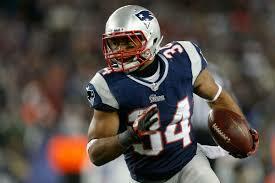 Webb has great potential to be the next great receiving threat out of the Patriots backfield. He seemed to be an effective part of the passing game in snaps he played during the preseason. Ralph Webb could easily become the successor to James White. 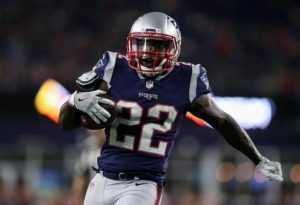 With hard work and the right attitude, he could become that next receiving threat running back in the Patriots offense.